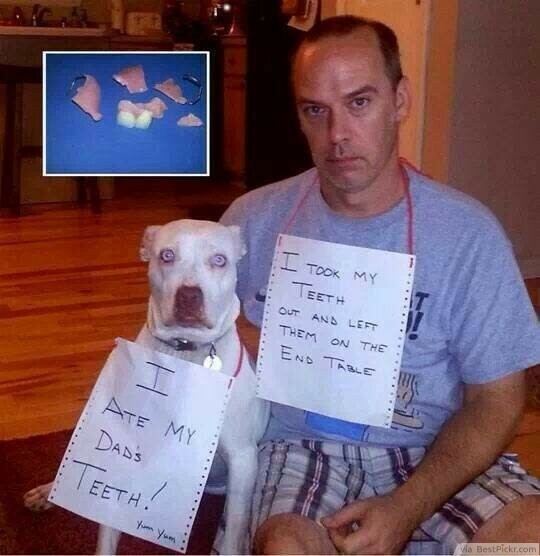 Dad: I took my teeth out and left then on the end table. 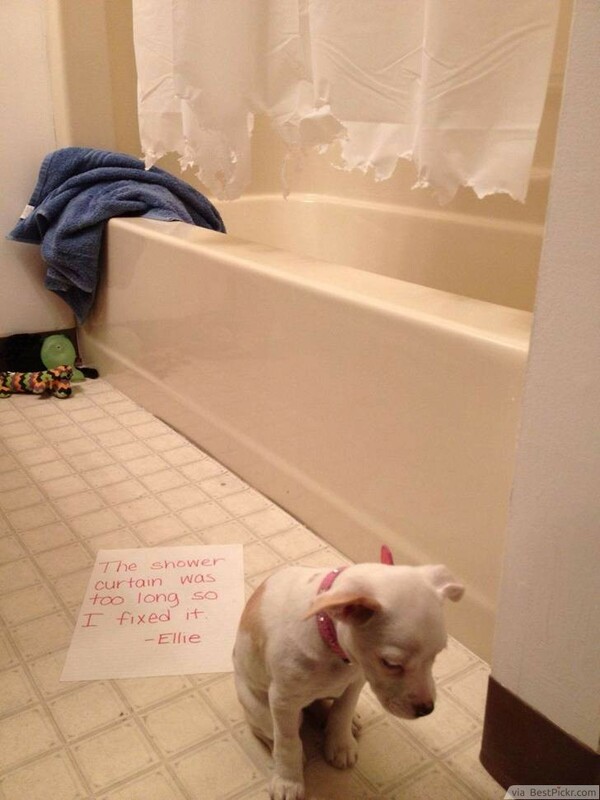 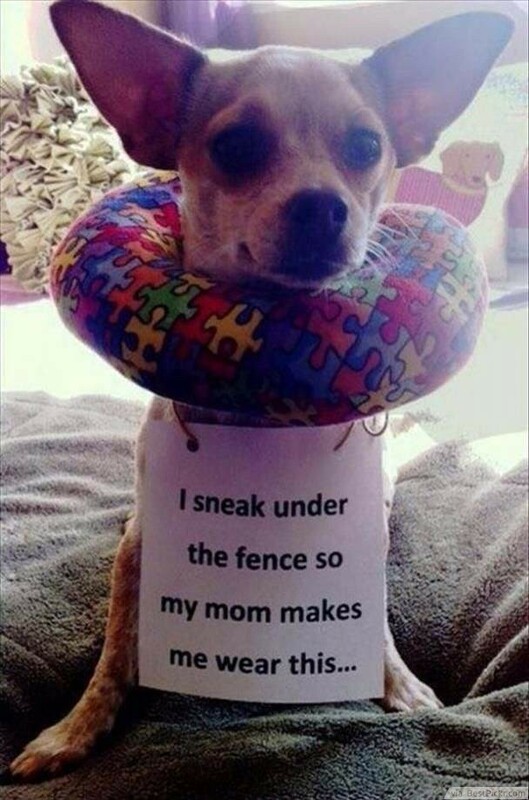 My dog is really smart. 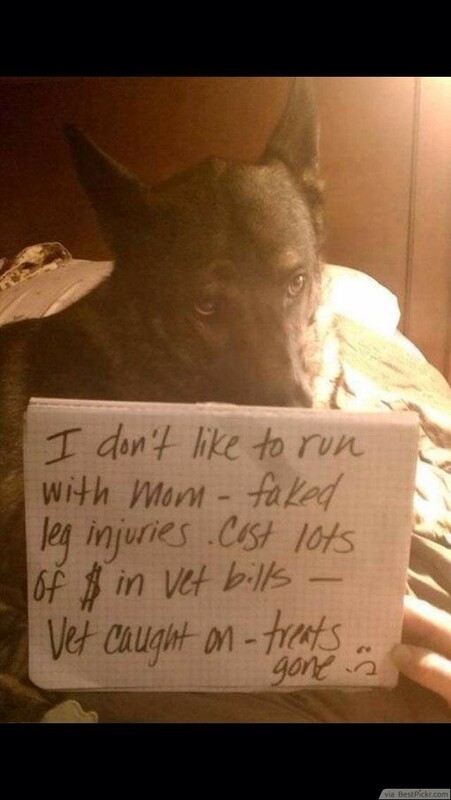 He knows when he hears the word vet. 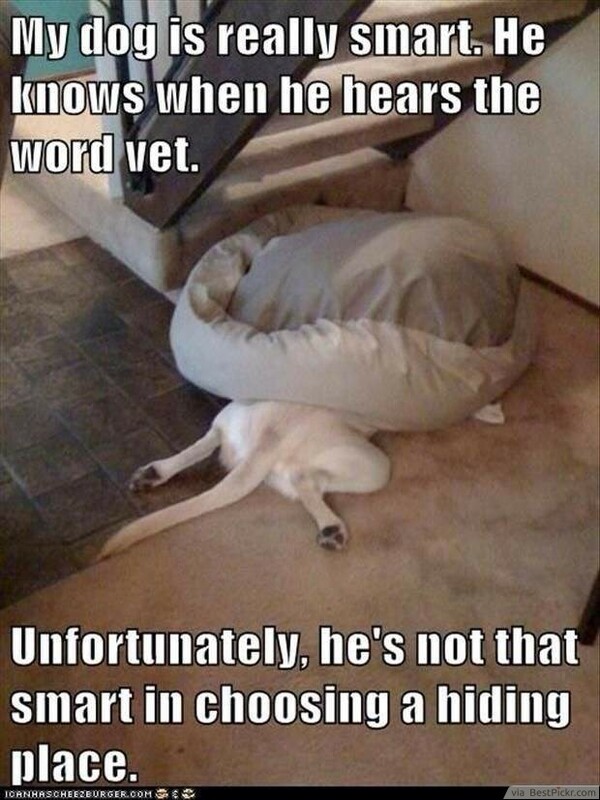 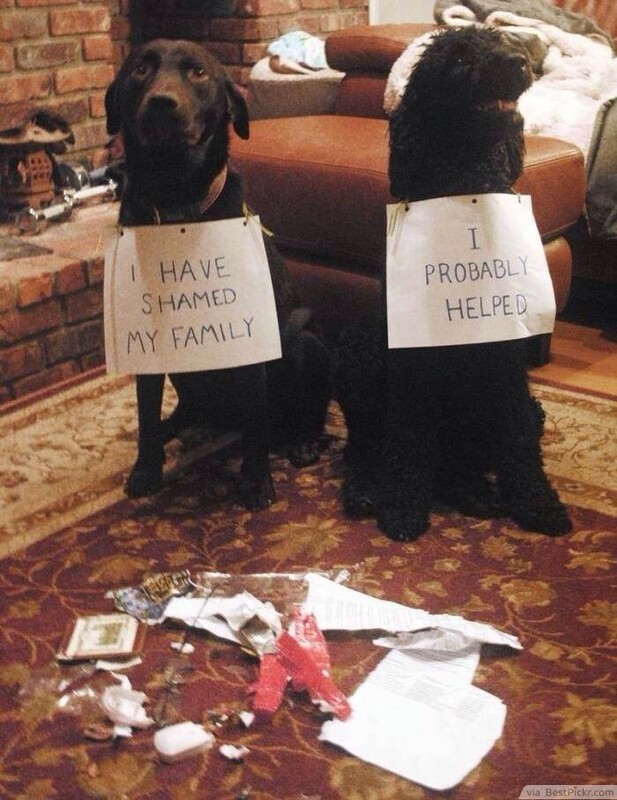 Unfortunately, he's not that smart in choosing a hiding place. 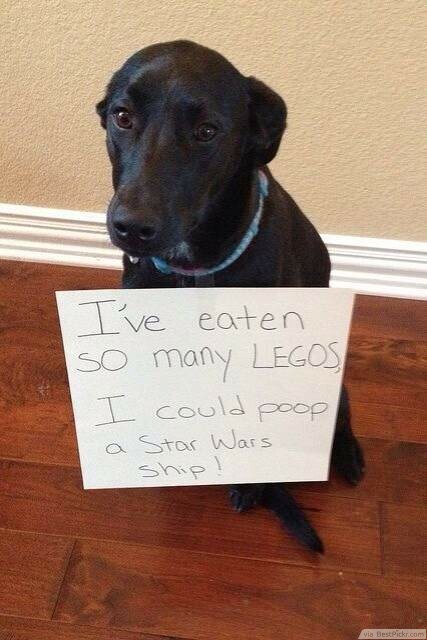 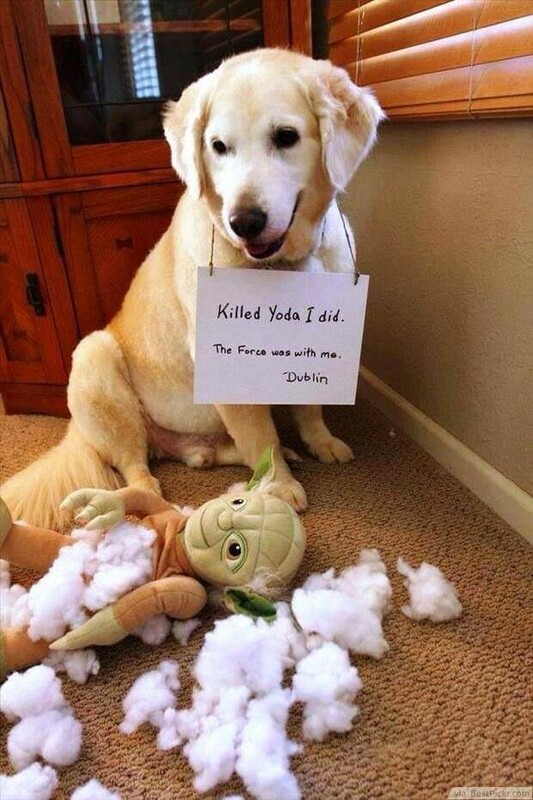 I've eaten so many LEGOS, I could poop a Star Wars Ship! 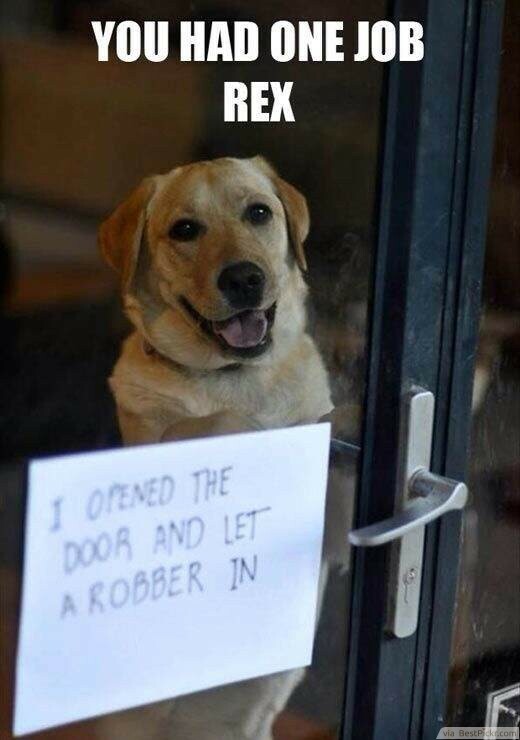 I opened the door and let a robber in. 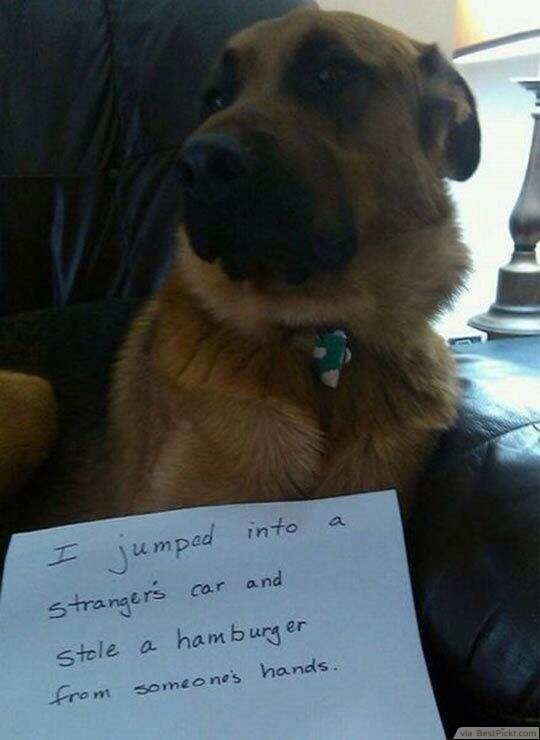 I jumped into a strangers car and stole a hamburger from someone's hands. 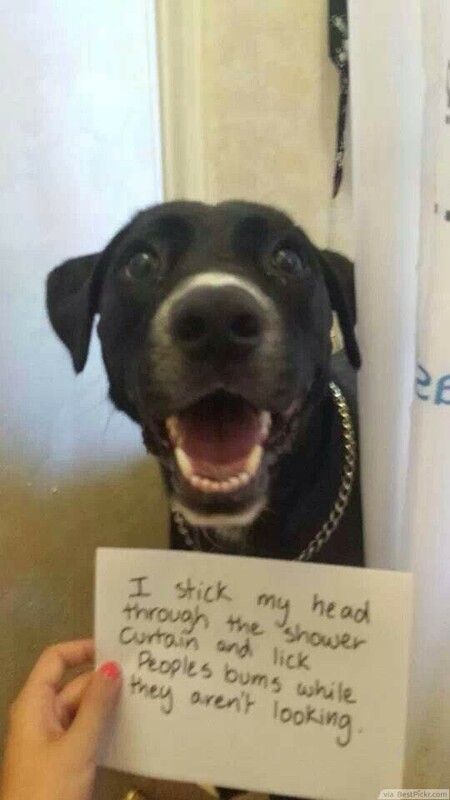 I stick my head though the shower curtain and lick people's bums while they aren't looking.